Apple’s BeatsX wireless headphones contain the same W1 chip found within the company’s AirPods, which allows for fast charging and easy Bluetooth pairing. If you’ve been waiting for a deal on these headphones, The Source has a one-day sale on BeatsX you may want to jump on. 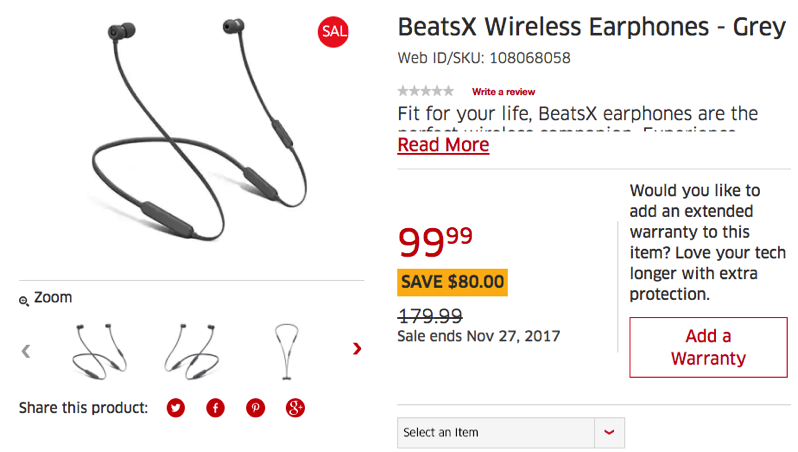 BeatsX are available for $80 off at $99.99, which works out to 44% off, for Cyber Monday only. This is the cheapest price we’ve seen BeatsX go for. Apple headphones with the W1 chip have profiles saved in iCloud, which means you will be able to easily pair them to any iOS device, Mac, Apple Watch and Apple TV. 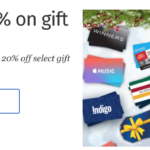 You could even try signing up for The Source’s newsletter and get a $25 off $100 coupon, to drop the price further, if it applies. This price could be lowered even further if the Partner Savings Program (PSP), available to GoodLife Fitness members, can be applied. The last time we saw BeatsX on sale it was $119 after the PSP discount, so this $99.99 sale is much better. The sale is available online and in-stores, with a couple local stores still showing stock in our area. Click here to jump on the BeatsX wireless headphones at The Source—the sale is today only.